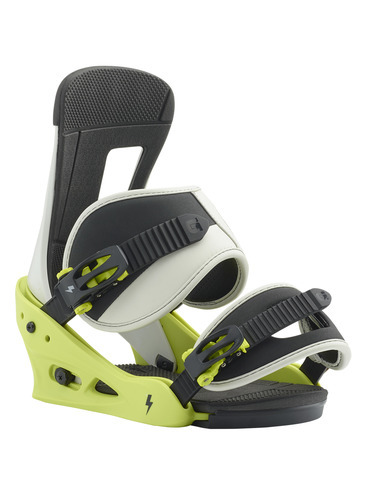 For riders looking to elevate their game, the soft and forgiving Burton Freestyle binding is the proven solution. Built to make any board ride better, it features Re:Flex™ tech in the baseplate for a smoother flexing package that's compatible with all major snowboard mounting systems. Soft straps, FullBED Cushioning, and a lightweight yet bomber design bring it all together in a binding that's been a Burton bestseller for over 20 years now. Our Flex Slider makes strapping in a breeze with a strategically stretched hinging zone that allows the heel strap to flex and fall fully open. The Flex Slider is also stronger and fully backed by our lifetime warranty.